Our creative resume templates are designed with just the right amount of style and personality to stand out without going overboard and putting off the HR manager. If you need more than just a template, click below to try our resume building software. Why use the Windsor Template? Click here to find out! Like the royal House of Windsor, this template is among our most elegant designs. Its sleek and linear styling give it a minimalist but chic appearance, all the while packing all of your most important information. The Windsor is perfect for combination resumes, as it gives equal emphasis to candidates’ professional profile, skills, and work experience. If you’re applying for a position that requires extensive education or technical skills, the Windsor is your best choice. Its middle section allows you to go into depth about your relevant qualifications while also highlighting a few key work experiences. Why use the Notre Dame Template? Click here to find out! The Notre Dame’s angular design makes it reminiscent of Paris’s one and only Notre-Dame Cathedral. Its strong lines and colored rectangular and triangular blocks are an homage to French Gothic architecture — albeit in resume form. The Notre Dame suits creative applicants who want to wow their employers with all of their skills, education, and awards in a unique and modern way. Why use the Westminster Template? Click here to find out! Inspired by one of London’s liveliest boroughs, the contrast between the Westminster’s handwritten headers and printed content makes for a visually pleasing and stylish design. The Westminster’s fun and functional design is appropriate for new professional workers, as it gives candidates plenty of room to write in its resume objective section. Why use the Taj Mahal Template? Click here to find out! Nothing quite comes close to the splendor and beauty of the Taj Mahal. 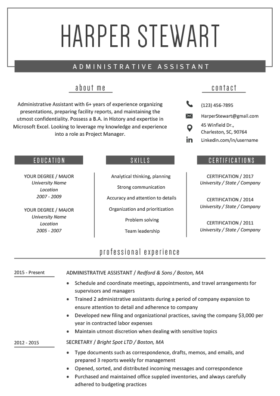 The uniqueness of this layout stands out among the generic formats that HR managers are tired of seeing. When the Taj Mahal comes across a hiring manager’s desk, you’ll be sure to get their attention. Like the actual structure, this template is strategically separated into numerous sections. The Taj Mahal is great for anyone applying for an ultra-competitive position and needs an extra edge to help them stand out. Additionally, if you have a well written career objective and an impressive set of skills, the left-hand column is built to drive more attention to them. The unique column also offers the applicant more room to add to their education and experience. Why use the Pantheon Template? Click here to find out! The Roman Pantheon was one of the greatest architectural achievements of its time. The fact that it is the best preserved structure of the Roman Empire speaks to the sophistication of its design. The two block rows of this template are akin to the Pantheon’s large Corinthian pillars that welcome visitors with their magnificence. The Pantheon template powerfully introduces the job applicant to hiring managers while leading them into a rotunda of professional experience, skills, and awards. With margins less than an inch, the Pantheon allows job candidates to maximize the amount of information they can fit on the page. This creative resume design is perfect for those who have a long job history and a variety of applicable skills. Additionally, the Pantheon emphasizes the applicants additional skills by listing this section before their work history. Why use the Mount Rushmore Template? Click here to find out! The Mount Rushmore design is expertly sculpted to bring the applicant’s resume to life. The granite-colored heading gives your name and career objective a sense of authority and power. When you use the Mount Rushmore format, you not only demonstrate the merits of your past experience, but you also convey a promising future to the hiring manager. As you will notice in the Mount Rushmore, the applicant’s position title, and not the company name, is bolded. 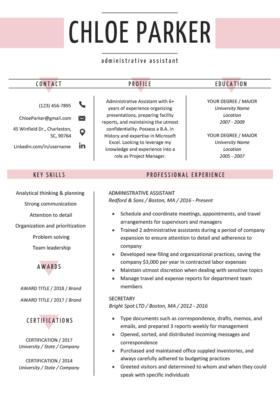 This creative resume is great for candidates who want to put more emphasis on the specific positions they held rather than the companies they worked for. Why use the Brooklyn Bridge Template? Click here to find out! The bulleted lines that run along the side of this template resemble the suspension cables that hold New York’s iconic bridge. Just as the bridge connects the boroughs of Manhattan and Brooklyn, this template flawlessly links the different positions that you’ve held throughout your job history. The Brooklyn Bridge is designed to take hiring managers on an informative journey through your professional experience. Since this template focuses on the relationship between your experiences, the Brooklyn Bridge is great for those who have a linear job history in one industry. The bridge design is the best way to show hiring managers your promotions and your upward career mobility from an entry-level position to management. 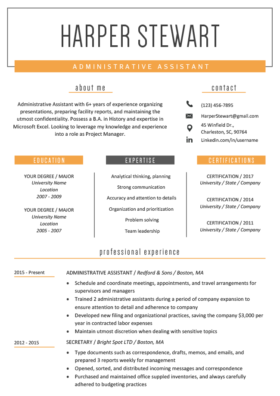 This creative resume design is also suitable for candidates who are applying for a position that requires vast knowledge or technical expertise. Applicants can include their most relevant skills in the core competencies section. Why use the Stonehenge Template? Click here to find out! The Stonehenge, with its timeless use of bold break lines and refined font selection, reflects the stoic majesty of the famous rock formation it’s named after. Section headings are organized on the left by a vertical separating line inspired by the pattern of the real Stonehenge. This reflects the organizational skills of the individual using The Stonehenge template. If you are looking to project ageless confidence and a rock-solid work ethic then download The Stonehenge now. The Stonehenge means business, yet it still echos the creative freedom of nature. This means it’s perfect for business-related professions that require some creative flair. Marketing, Advertising, and Public Relations are all good examples. At the end of the day, anyone in an industry with heritage would do well utilizing The Stonehenge for their next career move. 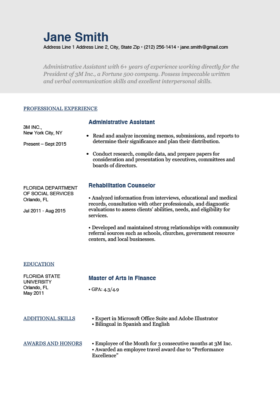 Can I use one of these templates on the Resume Genius site, or do I have to download and type everything in? You can download any of the templates for free and type in your own information manually, or you can use our builder which will allow you to choose your desired template and have your resume quickly and easily generated for you: https://resumegenius.com/ Hope this helps! Glad to help. Best of luck with your job search! You’re welcome! Best of luck with your job hunt!